Matt Chandler is one of those rare humans that�s wildly gifted yet as down to earth as can be. Matt Chandler�s CD "I Am Yours" is a thought provoking collection of melody rich, and intensely worshipful songs. "There is a definite theme of surrender in this album" says Chandler, "all the songs came from places of brokenness and renewal". "I have a heart for the local church, and for leading God's people in worship" says Chandler, "it�s an all consuming passion!� Every track on this album points the listener back to Jesus Christ. There is no question that Matt Chandler strikes the right chord with his debut album...leaving us wanting more from this up and coming artist! Feel free to use the convenient links on your left and choose your favorite songs today. Matt Chandler�s debut album "I Am Yours" is a thought-provoking collection of melody-rich and intensely worshipful songs. "There is a definite theme of surrender in this album," says Chandler, "All the songs came from places of brokenness and renewal. 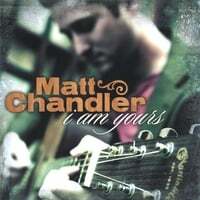 Matt Chandler's CD named "I Am Yours" is available on iTunes, eMusic, Rhapsody, Napster and more. Produced, Recorded, and Mastered at recording EDGe/RecEDGe Records. I hope that I make you proud...l love you! Steve, your still the best man...love ya bro; Edd Gryder, for all your hard work and time, thanks for catching the vision and making things sound better than I could have imagined; Jad Souza, you da man; Justin Johnson, Mark Hill, Scott Sheriff, Alan Fauque, Craig Hall, Jesse Ahmann, Alicia Willard, for adding your talents to this record, you all rock; Pastor Steve and Cheryl Van Winkle, for challenging me to go deeper, and setting a Godly example in all you do; John and Christine, for the support, love, and encouragement, we love you guys; Aaron and Sara, thanks for being such servants, you are a blessing; our family at Fellowship; Nick and Sarah Morace, Jeremy and Michelle, Tony and Emily, Ken and Chris, Chet and Tammy; Jerry Thorpe, for being a true spiritual giant; the Lambrich family, we miss you all so much, thanks for being such great friends; Ben and Tammy Feldott, for all the opportunities that you gave us; Alan Porter, your friendship means a lot...we gotta write another one; everyone at Cape Cod Church, we miss you all; Steven Curtis Chapman, for being an inspiration, keep doing the walk; Garrett Johnston, for leading me to the Lord and helping me grow; Pastor Brown; Pastor Tim; everyone at First Baptist East Longmeadow; Gary Coleman (not the actor! ), thanks for being such a great friend and mentor; Dave Melton; Sean Sears; everyone at Boston Baptist College; Dan Coleman, for showing me what friendship is all about, I miss ya dude; Jessica Wellman, for being a great friend; Mike Smith, Peter Thomsen, Nana and Grammy, we love you both so much; the Chandler and Kasper clans, thanks for the support; Chris and Kathy; the Washburn family; .the crew at disc makers; Kelly Kuntz photography; to you, whoever buys this record, for your support, I hope the music draws you closer to Him, thanks for listening. Add Matt Chandler's name to the list of musicians who have graduated from Longmeadow High School's acclaimed music program and delved into the business. 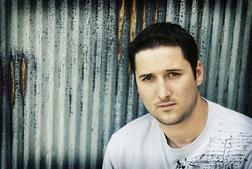 Chandler, a 2000 graduate of the school, recently released his debut CD "I Am Yours." While the most famous of that list, Aaron Lewis of Staind, plies his trade in the rock'n' roll realm, Chandler's music exists on an entirely different plane. Chandler is the music pastor at a church in Bozeman, Mont. His CD was released on an indie-Christian label and would be categorized as contemporary Christian. "My interest in music started when I was very young," said Chandler. "My parents really nurtured it. They said I was born to be in front of a microphone. If I found a hairbrush laying around the house it wouldn't be long before I turned it into a microphone. Music turned into something I couldn't live without." Chandler went from Longmeadow High School to bible college and toured extensively with the Christian singing group Wings of Morning. He credits Steven Curtis Chapman as being the biggest influence on his musical style. "I am a Born Again Christian and shortly after I was saved I heard Steven Curtis Chapman," he said. "He is my biggest influence. I would say the album has a very similar sound to it." When Chandler arrived in Bozeman he hooked up with the indie-label RecEdge Records. After recording his parts, the tracks were sent to Nashville for completion. "The experience was pretty neat," said Chandler. "It was actually mind-boggling to think that musicians like Scott Sheriff (Steven Curtis Chapman) were playing on my record." The new Matt Chandler CD is available through mattchandlermusic.com and CD Baby, and also is available for download at iTunes. Chandler says a tour is in the works and he hopes it will include a hometown show. LONGMEADOW Longmeadow native Matt Chandler has taken what he's learned at home and is using it fullforce to shape his future. The 2000 graduate of Longmeadow High School has released his debut inspirational CD "I Am Yours," a nine-track homage to faith and hope. Chandler began playing guitar in middle school and continued his love of music straight through high school, participating in chorus. Even his father Steven was blown away when he saw what his son could do at a young age. "Since middle school he started playing the guitar and singing and writing songs. I went to hear him one night at a talent show. It took me by surprise," Steven said. In seventh grade Chandler's girlfriend introduced him to the youth group at her church and his father said he really gained inspiration there. "He went there with his girlfriend and really got hooked, and he has been very involved in church ever since," Steven said. "When he graduated high school, he traveled the country singing in a Christian group ["Wings of Morning"]. He met his wife [Rachel] in Denver. When he got back from there, he went to Boston Baptist College and got a degree in pastoral. Now he's out in Montana as a music pastor." Yet still Chandler remembers his roots. The last song on his CD titled "Gone Home," is in remembrance of a close friend in East Longmeadow who passed away. Steven said Chandler had also performed the piece at his funeral. So what does a father say about his son bringing music to the masses? He said he and his wife Diane are proud. "I like [the songs]. I think they're very inspirational. You can tell they're coming from his heart. I hope people enjoy the music and listen to the words," he added. Matt Chandler is a storyteller. On his debut album "I Am Yours," he weaves inspirational stories and positive messages to acoustic guitar strums. The Longmeadow native's lyrics read like an open letter to God while offering hope and guidance to young and old listeners alike. On most tracks Chandler's lyrics sound more like lessons he has learned rather than preachy testimonials, which is important for reaching an audience who may not usually listen to spiritual/inspirational artists. All of the nine songs were either written or co-written by Chandler. What Chandler has strong lyrics. On songs like "I am Yours," Chandler affirms his commitment, singing, "So I think of the way that you love from the start/and I live like a prisoner set free/so forever, forever I am yours." A music pastor in Montana, Chandler easily uses this arena to spread the message of faith. Though his acoustic guitar tends to be number one on most tracks, it's nice when Scott Sheriff, on keys, and Edd Gryder, on electric guitar, get to shine on tracks such as "My God," and the listener gets to appreciate the musicality instead of just the lyrics. Chandler does have his own unique style and he's definitely an inspirational artist to watch. With another album and some tours underneath his belt, Chandler will hit his stride. If you have to make a debut, this is how you do it. Song to listen to: "He's Alive." For more information on Matt Chandler visit www.mattchandlermusic.com.